This gift box has a length of about 7.5 in, a width of about 4 in, a height of about 2 in and a Net WT of 10oz. Our Giant Cashews are the biggest, the freshest, the tastiest and the best. 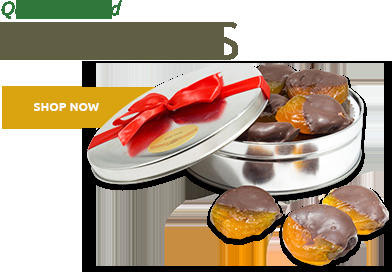 They are oil roasted in small batches the old fashioned way and are available salted and unsalted. These 160 count Brazilian Giant Cashews are the cashew connoisseur's dream. It takes talent to roast them to perfection, something we have been doing since 1929! Try Them! 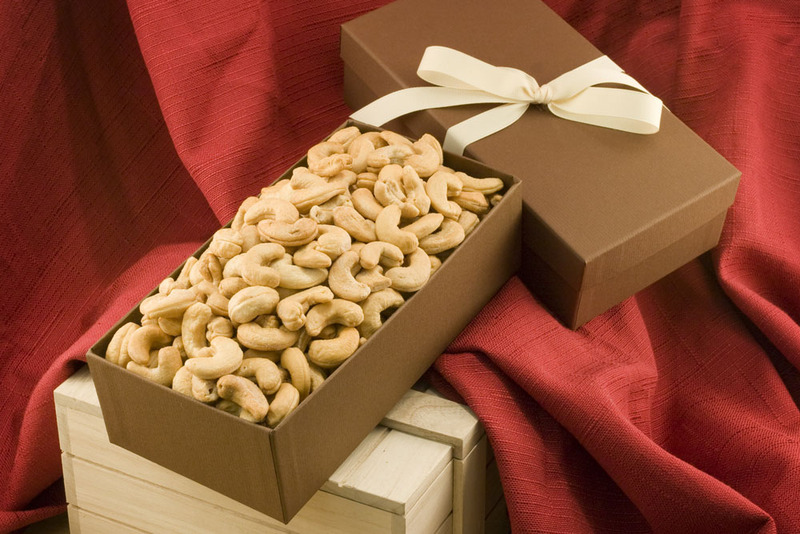 Giant Whole Cashews Gift Box / Salted Giant Cashews/ Unsalted Giant Cashews - Net Wt. 10oz. Salted Whole Giant Cashews: Cashews, Cottonseed and/or Peanut Oil, Salt. 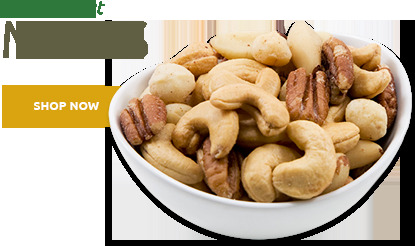 Unsalted Whole Giant Cashews: Cashews, Cottonseed and/or Peanut Oil. 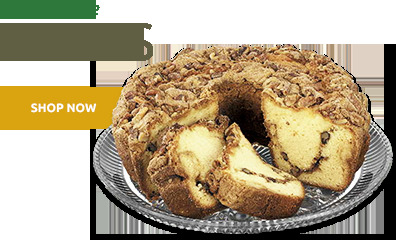 Taste great, really good deal. 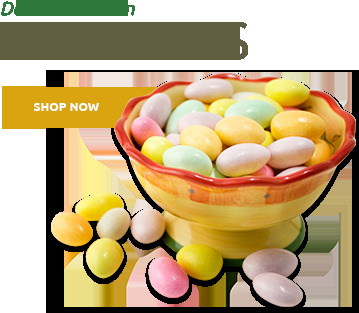 The website is easy to navigate, and was delivered earlier than expected. Always send these nuts as a gift and they are always happily received .. the company service has always proved to be very efficient Too. Nicely packaged, always fresh. Huge cashews, fresh, great taste, and priced great. I sent these to my father for Father's Day, he said they were the best cashew's he has ever had. And he has had many! I ordered as a gift for someone in another state, they were very pleased with the product. 5 Stars to these delectable heart-healthy cashew. Great as a gift for someone or treat yourself. Shipped on wrong date. They were to arrive one day before I got there and instead they shipped just a couple days after I placed the order. an email that the orders were being shipped. I called and was told one order was shipped but I could stop the second order to be shipped later. Received the first order way to early and the second order after the 12th of December. Was not happy with the shipping. Looks good enough for me to keep for myself!! Cashews arrived sealed in a plastic bag that doesn't come close to filling the box as illustrated on the web page. Perhaps they meet the 10 oz. weight criteria, but I have no way of verifying that. Bag contained many halves and broken pieces. ConsDeceptive image on web page. Many halves and broken nuts. This is the second time I've sent these cashews to my brother for Christmas. He said they have just the right amount of salt, and the texture of the nut is perfect. Nicely packaged, arrived on time, excellent product. ProsNicely packaged, arrived on time, excellent product. I ordered cashew nuts for my nephew as an Easter gift, and he loved them. The service was also excellent and prompt. Very Good. Would order again. I bought them for a friend and they loved them! They were huge! Was a nice experience, gift was delivered on time and what I ordered. This was a gift for my sister at Christmas. She said they were delicious and she wants the name of the company from which I purchased so she can get more! These cashews were the best I have purchased. Purchased them as a gift to my sons and they said they were the best. Person who received this gift loved it and is now munching with delight. I sent these to my husband as a gift. He loved them. They were the freshest we have ever had. Very good!!!! I also like the chocolate covered cashews. We live in Florida so I did not want these melt. I sent my dad a mixed nut basket for Christmas, he loved it. His has some chocolate covered nuts in it. He said it was very good chocolate was really good!! ProsLike them very much. Very fresh! I gave them to my daughter who loves them, and once again she was very pleased and excited to be getting them from your company. You have NEVER disappointed me with your nuts, even the peanuts!! Thank you! The nuts were excellent. Very pleased. This box of cashews was sent directly as a gift. We got outstanding compliments. everyone i gave them to really liked them. said they were fresh and attractive. wish someone would give me some! Prosi liked the fact that is was able to find them on sale and free postage as well as being able to pick my delivery date. I sent these to my dad, who has diabetes, for his birthday. He said they were the biggest cashews he's ever seen! I asked him how they tasted, and he said they had a little less salt than he was used to, but for some reason he couldn't stop eating them! I'm glad he enjoyed something a little more healthy for his birthday. Great price and the biggest cashews I've ever seen. They are fresh and sooooooo good! I gave this item as a gift to my aunt for Mother's Day. She said they were the biggest cashews she had ever seen. Also I wanted to know how they tasted, she said they were the best she had ever had. I was happy to hear that since I had not tried them yet. My aunt lives in Milwaukee, Wi. The cashews had the perfect amount of salt, they were fresh, huge and delcious. The price for the amount received was very good!!! They shipped quickly, I gave two boxes as gifts and kept one for my husband and I, they were packaged well and the box and ribbon were so nice, there was no need to wrap them. This is my fifth order, I told all my friends and family about this company. I will be back!! ProsEverything, review says it all. First received your cashews in a gift with other nuts... Liked them and we ordered them. ProsThe size is consistant and they are well seasoned. ConsThey never last long enough. I sent this as a gift and the recipient was VERY happy with it. The box was almost too pretty to open, and the cashews were top quality. My friend loved the gift!! Thank you. 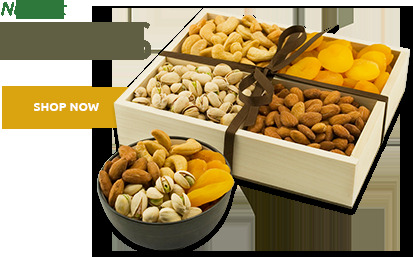 We regularly receive the nuts as gifts and the cashews are the best we have ever had!!! These are the best cashews around. This is the 3rd time I ordered these for my father because he loves them! Note: we have cashews at the grocery store & I take the trouble to order online. I gave this as a gift to someone I havenâ€™t seen since I sent them; however, am told that the cashews are large and yummy. Sent them to family. They appear happy with them. Would order again. I purchased the giant cashews for an aunt for her birthday..she says THE BEST!! !